To keep warm this winter, let yourself be tempted by this navy jacket with white flowers. 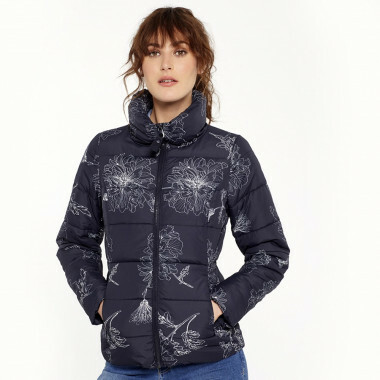 To resist the cold, nothing better than this quilted polyester jacket that will keep you warm. High collar. Navy colour with beautiful white graphic flowers. Zip closure at the front. Zip side pockets.